As a child, I grew up with dyslexia. One of my worst fears was being asked by the teacher to read. I hated to read, especially in front of people. 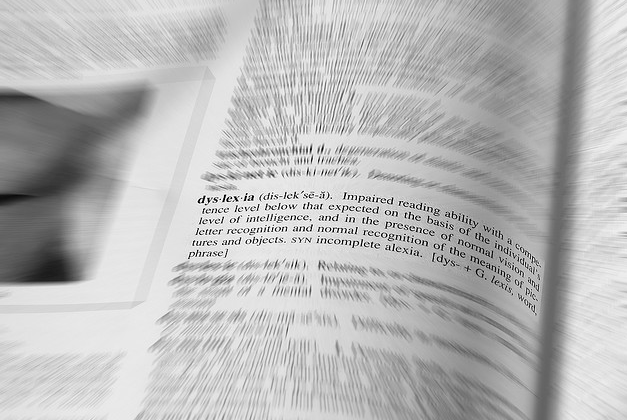 I struggled with most words until I was diagnosed with dyslexia in the fourth grade (am I the only one who thinks it’s weird the name for a reading disorder is super hard to spell?). I’ll never forget that year. I came home crying every day because the kids made fun of how I read. I was always in the “special group” (which my friends reminded me was a nice way of saying “slow group”). I practiced reading every night at home, often crying myself to sleep, but I couldn’t seem to get any better. When my parents reached their wit’s end they talked to my teacher. She had me tested, which confirmed her suspicions all along. I am dyslexic. That summer before 5th grade I got help. I went to private classes. My parents hired a tutor. I did special reading exercises every day. By the time school started I was able to read like everyone else. We thought I was cured. We were wrong. The thing about dyslexia is it can’t be cured. It’s not like having a cold, getting the flu, or contracting a disease. Your born with it and once you have it, you have it for life. You can learn to deal with it but it’ll never go away. I’ll never forget what my teachers taught me that year. They taught me to read. They taught me perseverance. They taught me how to have confidence. Whenever I would get discouraged by a set-back they would repeat this phrase to me: You are not your grades. I can’t tell you how much I needed to hear that. I think as adults we need to hear that to. You don’t need to have a learning disability to doubt your value. Life does that for you on its own. If someone hasn’t told you this please let me: You are more than your accomplishments. Did you catch the meaning in those four words? Christ is your life. Not your job, not your 401K, not your klout score, not how many people attend your church, not your VHS collection of all four seasons of The Gary Shandling Show, and not even your family. Christ is your life. No matter how big the things are that you’re trying to put in the center of your life, if they’re not Christ then they’re not big enough. Your significance has nothing to do with the applause of others but the approval of God. Busyness does NOT equal importance.